The perks that come with nonprofit status can be both a blessing and a curse. There is an expectation of transparency for those organizations to which the government grants tax exemption for their charitable works and whose donors receive tax deductions. But sometimes, there is a clash between transparency and ethics for nonprofits. This was clearly demonstrated by the conservative Heritage Foundation this past week after it proudly announced its Federal Clerkship Training Academy—a program shrouded in secrecy and clearly intended to influence the federal courts. For a newly minted lawyer, clerking for a federal or Supreme Court judge can be the ticket to a career position with the law firm of one’s dreams, in academia, or in government work. It could possibly even be a stepping stone to a judicial appointment at a future date. The role of judicial clerkships can be one of great influence. It is law clerks who provide direct assistance and counsel to their judge as they make legal decisions. Often, it is legal clerks who write drafts of opinions and do much of the background research on issues that are before the court. Judicial clerks can play significant roles in the formation of case law due to their influence on a judge’s decisions. None of this was lost on the conservative Heritage Foundation. This all seems on the up-and-up. But a cry of “foul play” has gone up from the left around this seemingly benign training program. And the reasons may be rooted deeply in the mission of the Heritage Foundation. In a thorough look at the foundation’s website and the form and materials related to this academy, a copy of this non-disclosure form was not accessible. It had quickly been removed in response to the outcry from the negative publicity. But, just the idea of a secretive training program based on the conservative mission of the Heritage Foundation has raised questions about political bias that might come with clerks who might come through this training. Could these clerks have possibly pledged to promote specific values and judicial perspectives to influence the outcomes of cases they work on? For the Heritage Foundation, this Academy would seem to be another logical step in its goal, clearly stated on its website, to build a conservative, right-wing federal judiciary. For others who do not share this philosophy, this is another means of undermining the concept of an independent federal judiciary. While, as Stern indicates, no federal clerks are expected to leave their ideology outside the courthouse door, they should be suspending their biases within the judge’s chambers as they work on cases. Nobody seriously expects these Federalist Society alumni to shed their partisan principles on day one. But traditionally, most clerks really have set aside their priors to follow the lead of their judges. Clerks might maintain a certain jurisprudential philosophy, like originalism, but they aren’t supposed to start the gig hoping that, say, businesses always win or Democrats always lose. Now, questions remain as to why this program was taken down. Was it the pressure of donors and funders of this program who do not want their names revealed? Was it the Academy faculty who were rethinking their association with this program and its impact on their integrity and ethics? Could it have been the overall pressure on a conservative nonprofit to push its mission a bit too far over the ethical line? Or might the secrecy and pledges of nondisclosure have led to the downfall? But there are lessons here for any nonprofit that has great success and seeks to build on it. There are still limits, and there are still public expectations. 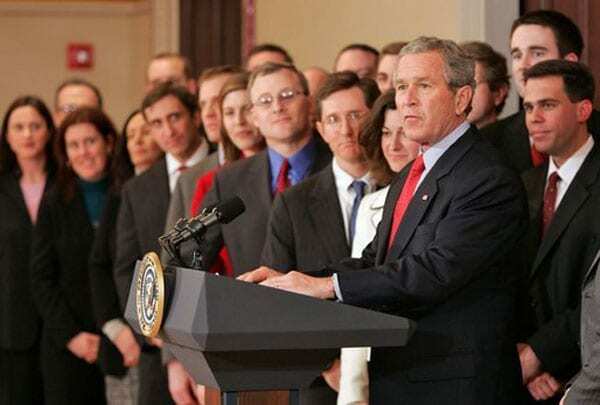 In 1999, a new nonprofit think tank called New America was founded to support research fellows on the left and the right with the aim of improving the quality of public debate. Now nearly two decades old, the think tank has run into a number of challenges.